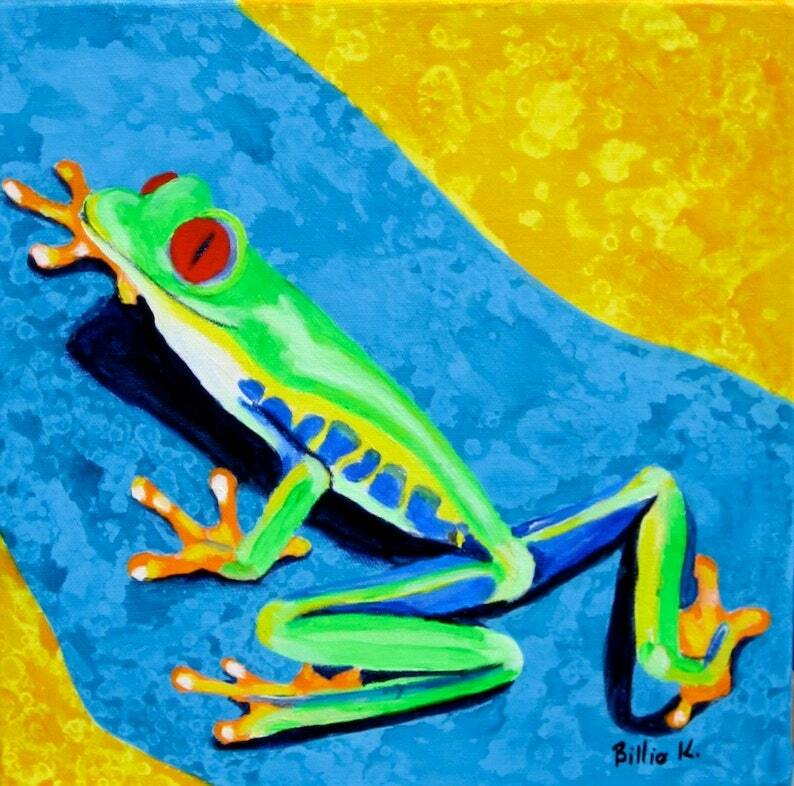 This vibrant, blue, yellow, and lime green print of a climbing tree frog would be the perfect artwork for your child's room, nursery, or any space that has a rainforest or jungle theme decor. 16 x 16 print. Digital full color reproduction of the original painting. 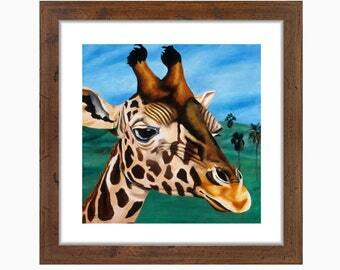 ★ This 16 x 16 Print is a digital full color reproduction of the original painting. ★ All 16 x 20 art prints are shipped in a mailing tube in order to reduce shipping costs.